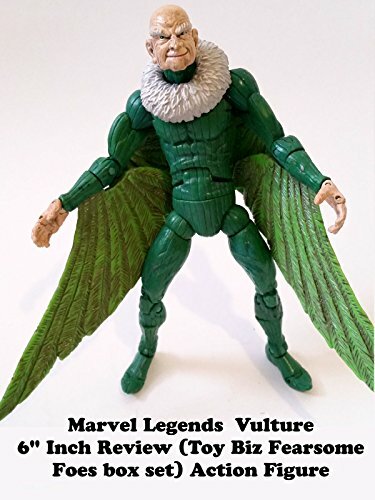 The VULTURE 6" inch Review. It is part of the Toy Biz made "Fearsome Foes" Box set and was the only way to get it. They never released it solo carded. The other figures included, Rhino, Lizard, Carnage and Spider-Man. It can only be bought in the secondary market or loose now. It's a fantastic figure and the only version so far in this scale that can be bought a classic Spider-Man villain to buy.